Good looking estate version of Clio with horizontally split rear tailgate. Renault bosses say it won't be coming to the UK because won't sell in sufficient numbers. 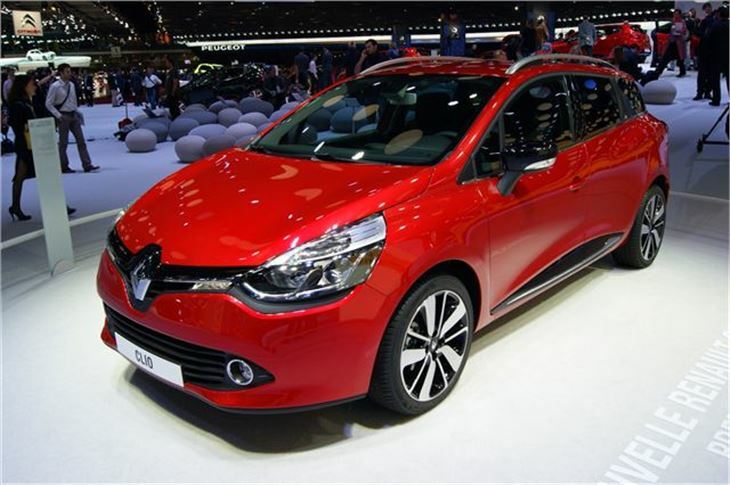 Renault launched an Estate version of the Clio at the Paris Motor Show and called it the Clio Estate, rather than Tourer or ST. 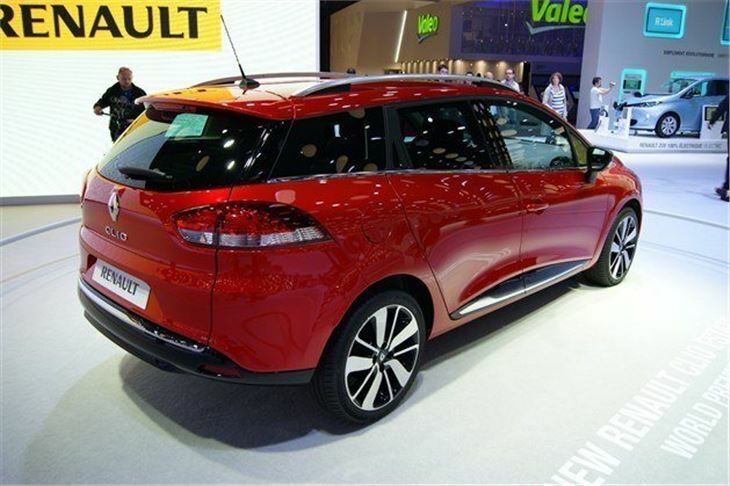 Handsomely styled, the Clio Estate is has the same wheelbase as the hatchback, but is 201mm longer to give increased rear load space and has a horizonatally split rear tailgate, like a Range Rover. It’s a five-door, but the rear door handles are hidden away to give a smoother, coupe-like appearance. That’s not to say practicality is anyway sacrificed – there’s a 443 litre boot which can be extended thanks to folding rear seats – and for long objects the front passenger seat folds flat too.